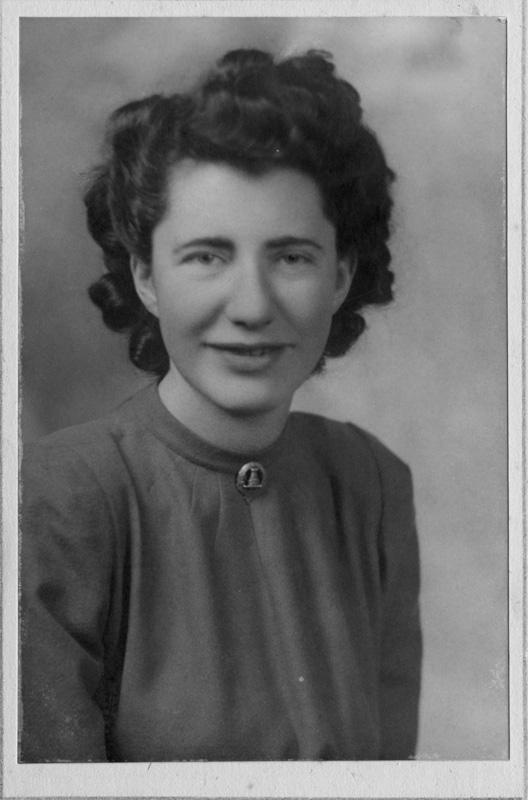 Studio portrait of Martha MacLean, taken in Edinburgh, in 1945. This photograph sits in a presentation folder, and there is an inscription on the inside, in Martha's hand-writing: "To Mother with love. December 1945. "On the reverse of the folder are written the words: "Miss J MacLean, Toscaig. Hair Dk, Eyes Hazel (the word blue was crossed out), Comp Fair, Dress Green".